Your child will enjoy a real immersion experience “en français”, develop skills and ease in oral and written French… and have fun! An all day French camp designed to develop fluency, ease and confidence in conversational French. A great camp for your child! Our summer camps are the ideal way of immersing your children in French while improving their language abilities through a variety of daily motivating activities “en français”. Through the use of activities in the classroom, playing sports, going on excursions, our camps provide a unique teaching/learning environment which blends fun activities and relaxing moments with more studious ones. All activities and tasks are conducted in French with themes that appeal to the participants’ age group. Activities involve skits, song, mime, films, games, crafts and much more. Some activities are based on age and others on the level of French proficiency of the children. All instructors are qualified in the teaching of French as a second language. The Alliance Française of Edmonton provides a high quality program in a safe and friendly environment. You have been chosen to represent your country during the most amazing Olympic games ever. Are you up to challenge yourself on many different trials? 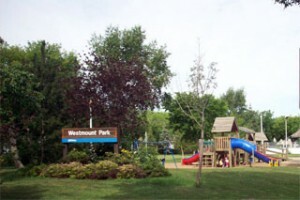 Come and test your strength and skills at the Westmount Olympic games ! Get your apron out and your Chef’s hat and let’s cook! King’s pie, crêpes, pastries or french baguette: are you ready to put your hands in the dough? Session 3: Take one… Action ! Being a Hollywood star has always inspired you? Shoot with us under the spotlights and become a real movie star for a week ! What is more important than the planet we’re living on ? Compost, green electricity, bugs replacing insecticide … So many things we can and will do to save the earth ! Enjoy a proper funfair like at the end of the school year : sack race, face painting, coconut shy, petanque. Are you ready to have fun ? Are you ready to put yourself in a survival situation and help your team to make to it to the final of the adventure ? Team work and survival instinct is what you’ll need to build a shelter and face the speed, and logic challenges … Come and show us what you’re made of ! You have juggler, acrobat, clown or tightrope walker skills? Come and share them with us during this extravagant week! Find the clues, the keys and the hidden objects to resolve the enigmas and escape from the trapped room ! Communication and team work are the key words to find the way out … Are you ready to evade ? 190$/session Exception sessions 1 and 6: 152$ (Holiday on July 2 and August 6) Early drop off and after hour service: 50$/session Exception sessions 1 and 6: 40$ *For every minute before and after hour service an additional 5$ will charged. If you register to 4 sessions or more, you get 10% off on your total (171$/session exception session 6) *No discount applied to early drop-off/after-hour services. No registration accepted for partial session. Please download the registration form, fill it out and email it at info@afedmonton.ca or bring it to the office. We need one form per child. Thank you!